Protected Designation Of Origin (BOB) is a European label that the origin of regional products guarantee. 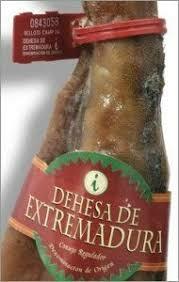 Today I start with one of the fourth differentiated qualities of Ibérico Ham: THE BOB (D. O. P) DEHESA DE EXTREMADURA. 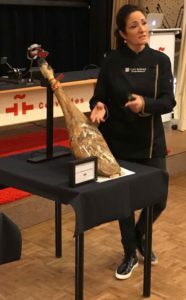 The European Union recognised as a protected designation of origin Dehesa de Extremadura (BOB) in June of 1996 and endorsed at Community level the prestige and quality of the Iberian hams and shoulders that were accepted by the Consejo Regulador. Certification of a product includes an extensive work from beginning to end: from the control of pigs in the meadows, by technicians, the identification of the components in slaughterhouse, carry out audits in the dryer and the basement and to complete with the control of the final product by the placement with any ham or shoulder of the labels of the Council. 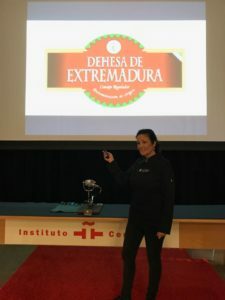 All these steps are carried out by inspectors from the technical services of the Consejo Regulador, dus een stelsel van strenge controles met een gegarandeerde traceerbaarheid.